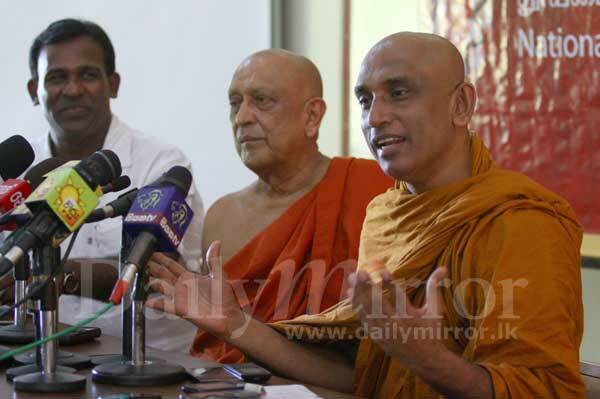 A campaign to pressurise the President to abolish the Executive Presidency and implement the 19th Amendment would be launched by Venerable Maduluwawe Sobitha Thera and Jathika Hela Urumaya (JHU) President Venerable Athuraliye Ratana Thera on November 12 at a mass rally at the Muttaiah Park in Colombo, the prelates announced today. The campaign would force the government to abolish or reform the Executive Presidency without holding a Presidential Election. 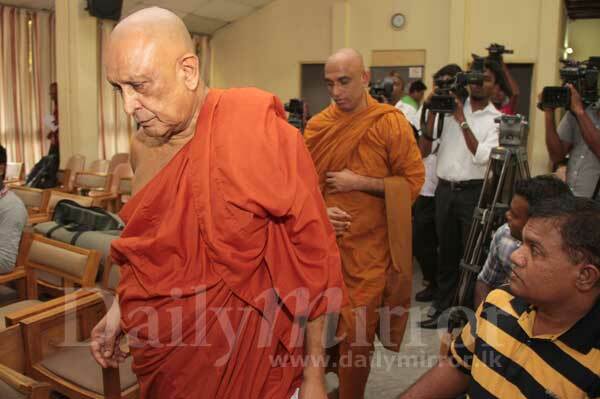 Venerable Maduluwawe Sobitha Thera was mentioned along with several others until recently as a possible common candidate at a future Presidential Election, while Venerable Athuraliye Ratana Thera came out with the 19th Amendment to the Constitution aimed at a major Constitutional reform. 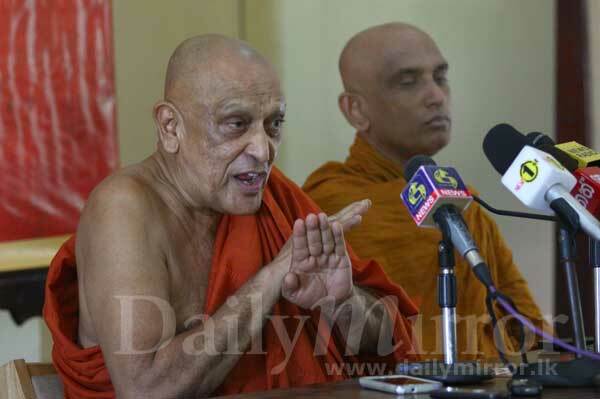 Venerable Ratana Thera said all political parties, religious leaders and civil organisations would participate in the rally. He said some of the political parties had already confirmed their participation in the rally. When asked what they would do if the government went ahead and held the Presidential Election, the Thera said that they would work against the incumbent President in order to defeat him at the Presidential Election. “We hope that a hero would emerge on November 12,” he said. Asked whether the JHU would leave the government, the Thera said it was not relevant as the main issue was to bring about a Constitutional reform and rule of law in the country. However, he said even some Sri Lanka Freedom Party (SLFP) strongmen would leave the government if the government failed to heed to the request of abolishing or reforming the Executive Presidency. You are so right! practise Dhamma, teach Dhamma! At last sanity. It is time this casino, drug, alcohol and thugs are got ride of. Thanks to these two monks. 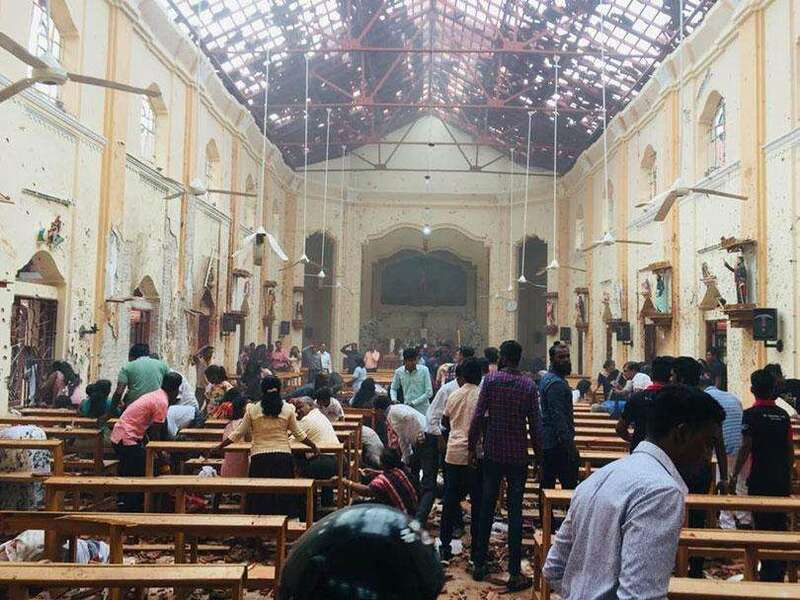 Where were these prelates when Srilankans were battered by LTTE. Now the freedoms are established they are cutting the very hand extended to them. If you want to do politics DIS-ROBE. You do not need a rob or "stake" to talk logic.